Backpacking can be a daunting prospect; it is probably a whole world apart from your usual routine, and all of the home comforts that come with it. That is the beauty though. Stepping outside of your comfort zone and the mundanities of everyday life to experience the adventure of a lifetime. 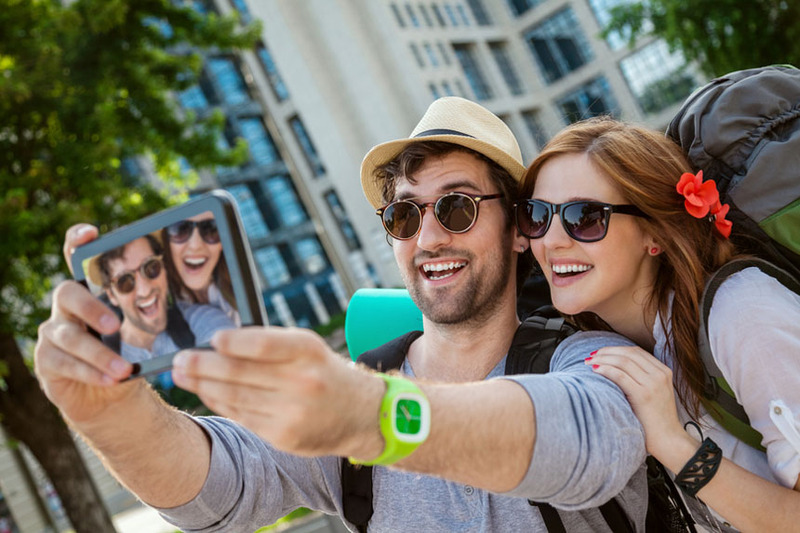 Here are some top tips to help first time backpackers to make the most of their time traveling. Your budget will inevitably affect the nature of your travel. If you are traveling with a very tight budget you will have to make sacrifices in order to last for a long time; stay in cheaper hostels, or camp out for example. Volunteer, and work abroad when the opportunities arise. For those traveling on a higher budget a decision will still need to be made whether to travel luxuriously and without limiting spending, or to remain reserved and stay out for much longer. It will depend on personality type but either way budget is likely to affect decisions. Do not be afraid to travel on a small budget. Many people delay, or never embark on their backpacking adventure, because they feel they need to save up a lot of money first. This is simply not true. I have travelled on a thousand pounds and it has lasted me seven months in Europe. I ate well, experienced big cities as well as countryside, and had a great time. There were restrictions of course, and I volunteered often for food and bed, but I would actually recommend traveling on a small budget at least once for the experience. Many online travel communities cater to low budget backpackers, such as couchsurfing, and workaway. If you can’t bear the thought of making sacrifices whilst traveling then you will need a higher budget, and may not be on the road for very long. Think about what sort of person you are, and budget accordingly. Do not pack anything that you would be devastated to lose or break. Also, for most backpacking ventures you will need to pack appropriately light. This will vary depending on how much wandering you are likely to be doing with the backpack on your shoulders. If you are mostly going city to city on public transport, and will be leaving the backpack at hostels upon arrival, you may be able to afford to carry a little more weight than someone who trial hikes often. You will still need to make sure the backpack is easy to carry onto trains, and will still need to be careful not to pack anything overly valuable. For those who’s travels are likely to involve a lot of walking around with the backpack on, it is even more crucial to keep the weight right down. Nobody ever goes back the second time with a heavier bag believe me, and over time you will understand what needs to be lost in order to make the weight manageable. I once packed with a lot of little items that I thought I could not travel without. On a hot day it would be nearly impossible to walk for more than 20 minutes without resting from the weight. Now, I carry only what is truly necessary, and it is much more enjoyable to walk around. Do I miss those items? No, because the environment is always interesting when traveling; if it isn’t you can just go somewhere else. I do a lot of long distance trail walking so it is natural that weight needs to be minimal. You will need to decide for yourself how much weight you can afford, and pack as light as possible. This might be contrary to other advice you have read. But I believe the trick to a dynamic travel experience is in a persons ability to let go, and not try to control everything. Understandably some planning may be necessary. Booking flights is a form of planning. Setting a date too. Past that you will have to consider how much planning is really for the best. In some more dangerous countries more planning will be required to understand the areas where it is safe to travel, and look for reputable hotels, or hostels. Planning is not however, the be-all and end-all. When we don’t plan we leave our options open to enjoy the experience, and allow it to unfold itself. For example; you plan to go to Thailand and you book every hostel for weeks in advance, knowing every bit of the country you will explore and when. You get there and meet some travelers who you resonate with. They offer for you to come and stay with them in a different area, but you can’t. You have planned ahead too far! Just go with it, trust life, and travel without always needing control. It will depend where you go but usually if the country does not speak your native tongue as a first language, it will be at the very least polite to learn some of the language, and at the very most crucial to the enjoyment of the travels. That is the bare minimum you should learn for each country. If you want to engage with locals often, you will want to learn much more. The good news is, this is much easier when you are in the country, surrounded by the language. Learn at least the basics at home, and then be willing to learn when you get there; locals will nearly always appreciate the effort, so don’t be scared to try it out, even if you lack confidence. Everybody is a tourist sometimes. There is a reason why tourist attractions are so popular, and why people flock from around the world to see them; it is usually because they are amazing feats of human achievement. You know the sort of day trip I am talking about; the Eiffel Tower, Bruge, the Statue of Liberty, The Pyramids, Big Ben. Backpacking should not always be centered around seeing the sights. If this is the mentality then you will miss 99% of the picture when you visit a country. If you want to get a feel for a country you have to visit some small towns, the coast, the countryside, as well as the capital. You should talk to locals and other travelers, and be open minded to exploring places, and ideas that would have never crossed your mind. Engage with culture and attend local festivities. You could even try living with a native family by volunteering through workaway or similar. Step outside the mould and experience cultures, customs, locals and travelers. Don’t be scared of having a low budget, and don’t be scared to just go with the flow every now and again. Learn, and be a part of a country. Do not simply visit to have a look at a few monuments. Most of all ENJOY! Traveling is one of life’s fullest experiences, and can be enjoyed by anyone, in their own way. Happy backpacking!